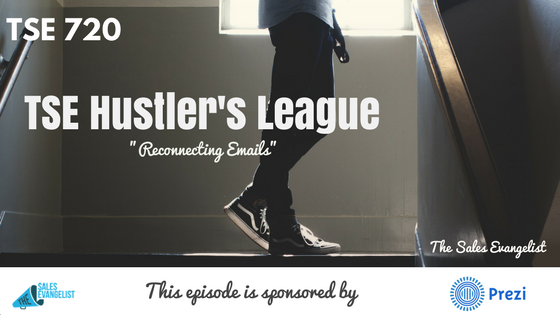 TSE 720: TSE Hustler's League-''Reconnecting Emails"
Following up is the vein of our existence. But with poor follow up, you ain’t going to find success. 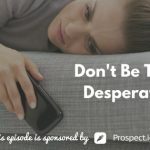 Today’s snippet from one of our sessions over at the TSE Hustler’s League is about how you should be sending followup or reconnecting emails. Of course, they already know you’re following up. Do something different. Do something different. Check out UberEATS and you can have food delivered to your client and pay for it from afar. 2. Share their content on Twitter or other social media platforms. Connect with them on social media then share some of their content. People feel good when you try to share their content. 3. Make sure your subject line stands out. Congratulate them for something they did or something to grab their attention. 4. In every stage of your sales process, create a piece of content. You can use this as a followup. But when you do this, make sure you’ve tied this into your past conversation. Thin of something valuable that you can offer them.